Has the Affordable Care Act had an impact on your business and its bottom line? Has your business qualified for the small business healthcare tax credit? Or are you a self-employed entrepreneur who was able to get covered through the individual marketplace? If so, we want to hear from you. Small Business Majority maintains a story bank that chronicles the personal experiences of small business owners across the United States. In today’s world, entrepreneurs like you often make tough decisions affecting their bottom line, and we want to hear about them. We are committed to ensuring your voice is heard by policymakers on some of the most important issues affecting small businesses so we can advocate on your behalf, especially in regards to the future of the Affordable Care Act. To tell us your story, please fill out the form below and we’ll be in touch. All of your information will remain confidential. 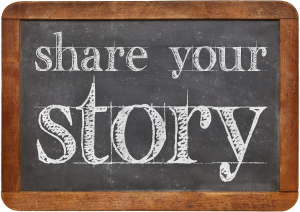 Your personal story is important and matters to us. It will assist us in highlighting the concerns and needs of employers to help mold state and federal policies that positively impact the small business community. How has the Affordable Care Act benefitted you and your business? How would your business be impacted if the Affordable Care Act were to be repealed?